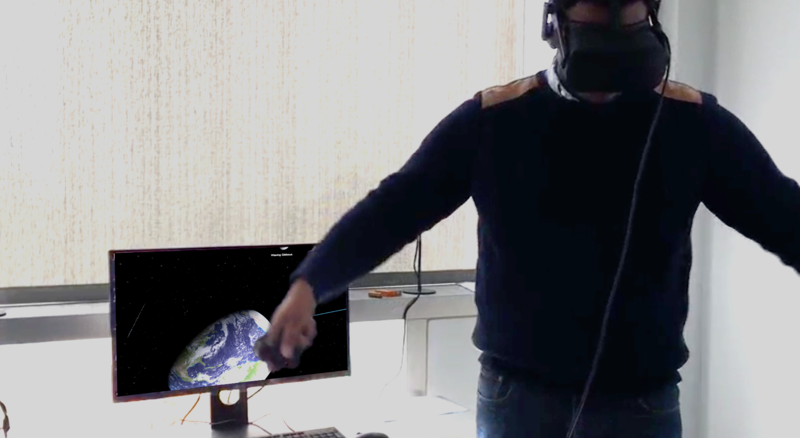 This project explores the effects of two new user interactions within an educational Virtual Reality environment. 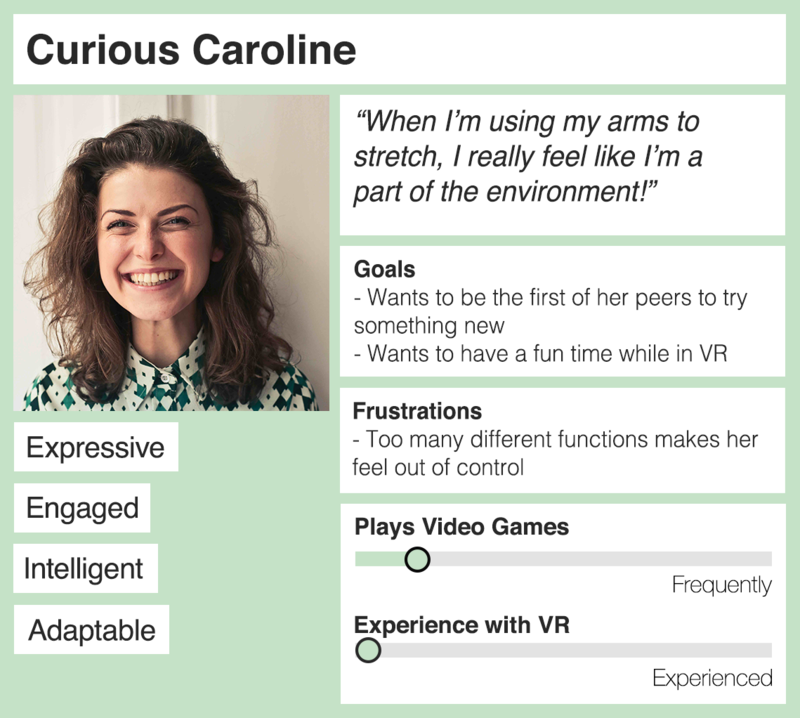 Through the recruitment of 30 participants for experimental lab sessions, we aimed to understand the impact that these interactions have on user attitudes, emotions and enjoyment. 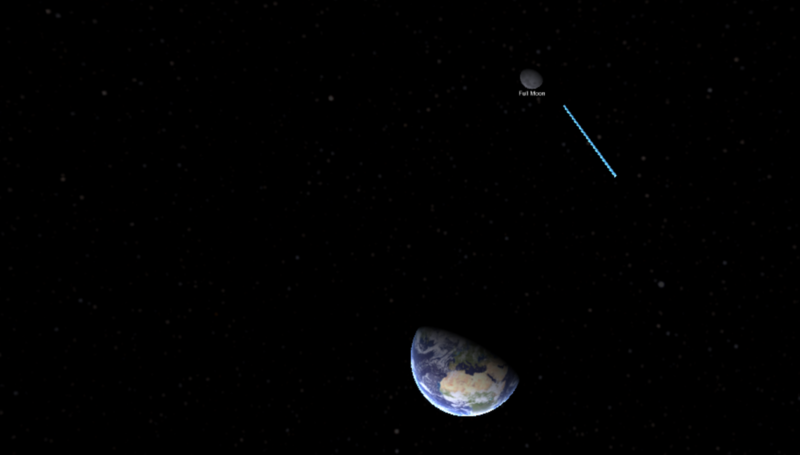 This environment aims to educate users on the different phases of the moon. 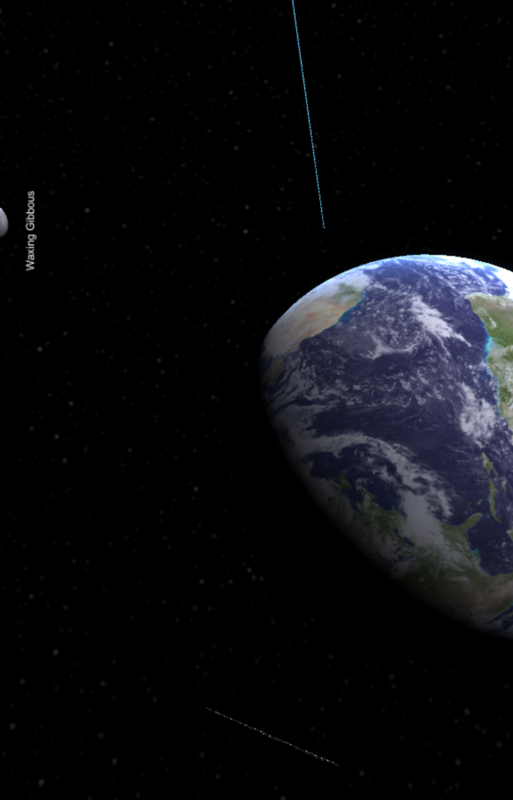 Users are able to interact with the Moon in ways that include dragging into different phases and scaling in and out. 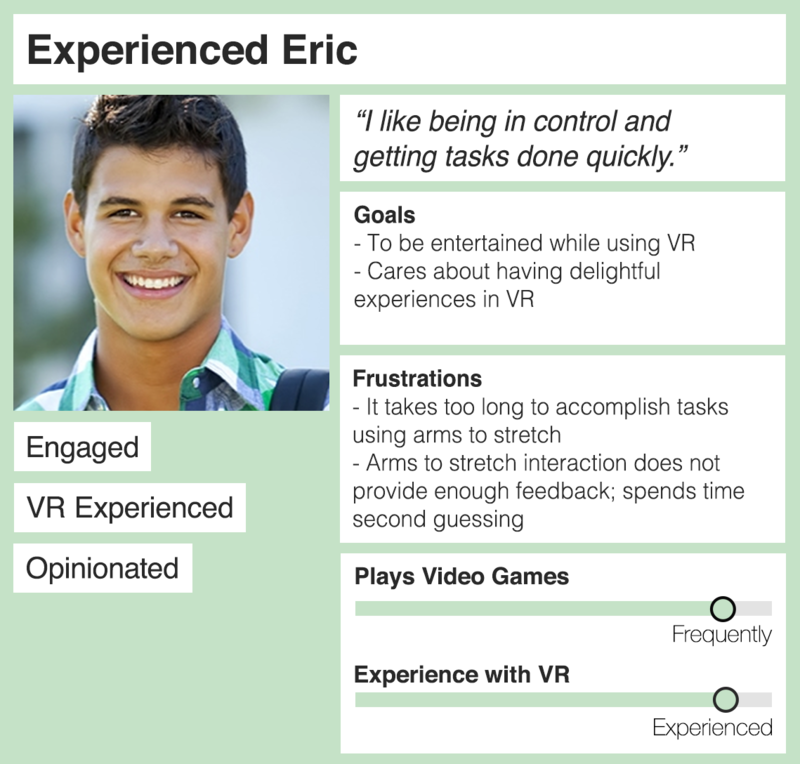 Our research examines emotions and attitudes associated with each scaling interaction. 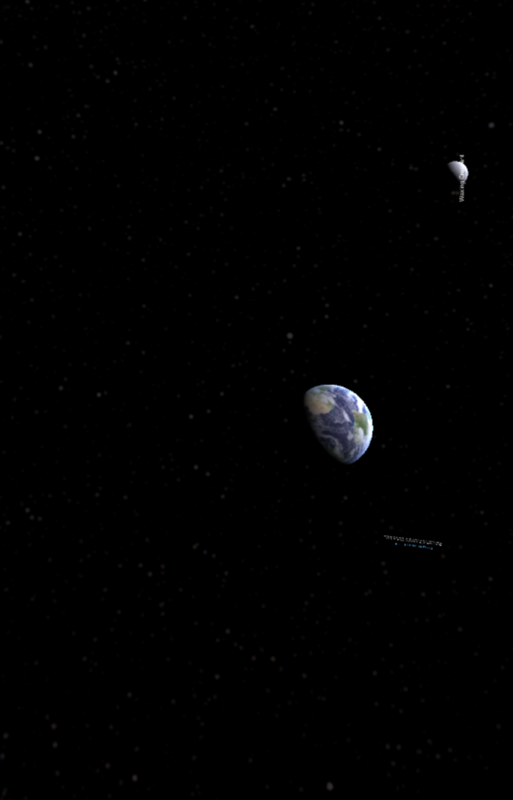 Stretching arms motions to control scaling. 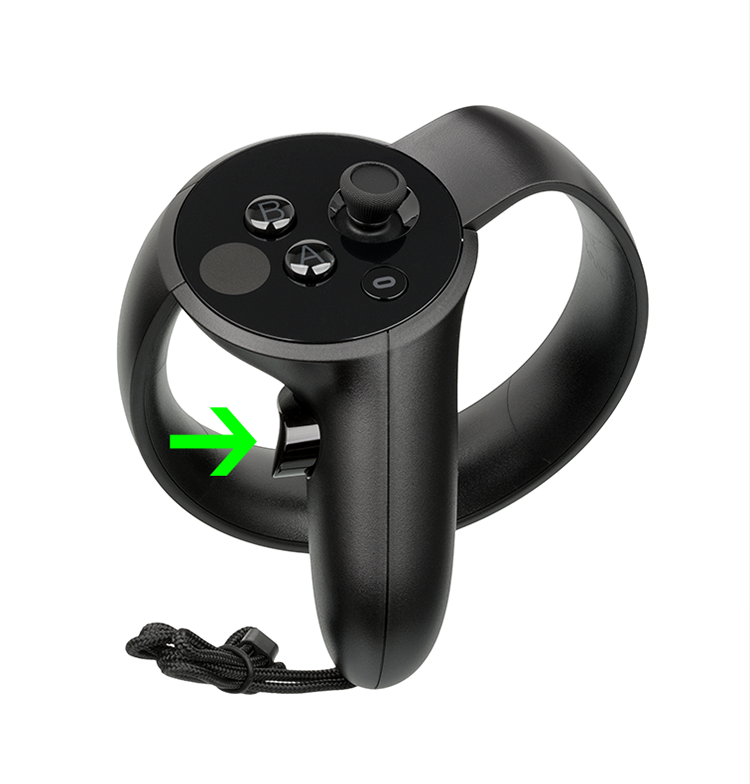 Pressing the left and right grip buttons to control scaling. 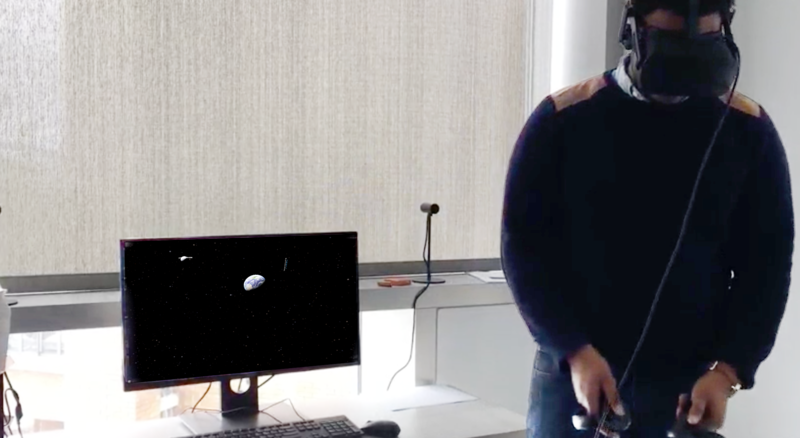 Participants were placed into the Phases of the Moon VR environment and asked to complete a series of tasks using both scaling interactions. 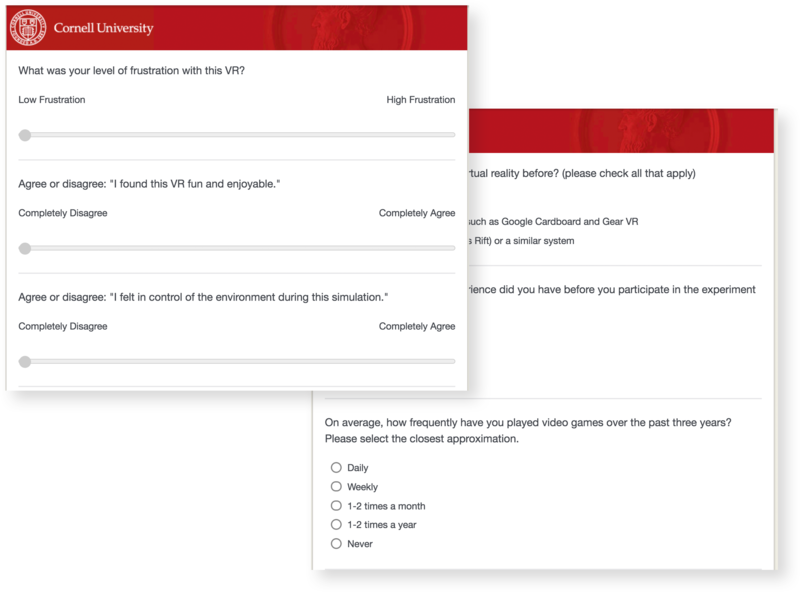 Surveys designed to measure frustration, enjoyment and previous experiences with VR and video games. Interviews were conducted at the end of each lab session to better understand what each participant liked and disliked about each interaction. Overall, our users preferred the button press interaction. 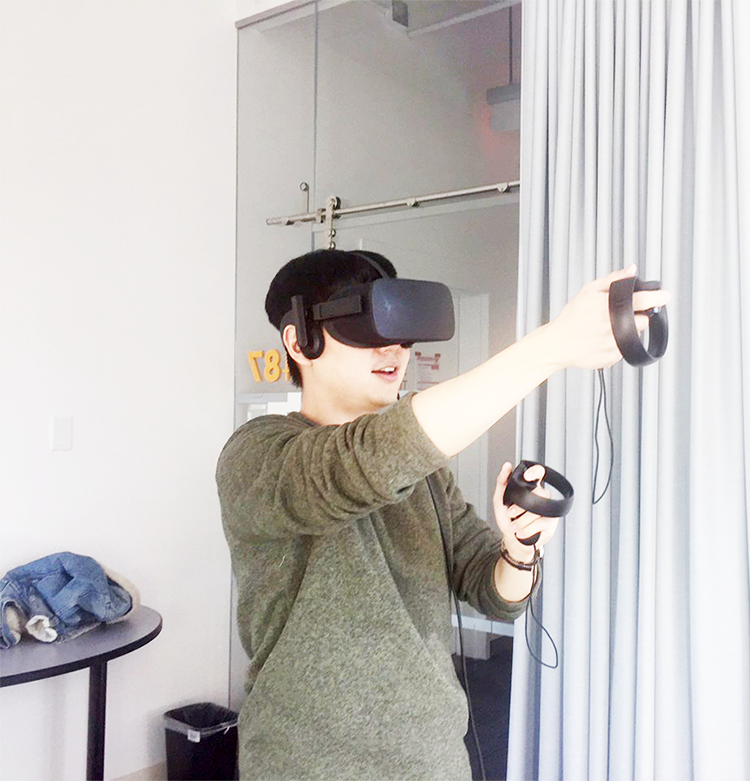 On average, users were more frustrated with using an arm stretching motion to scale. 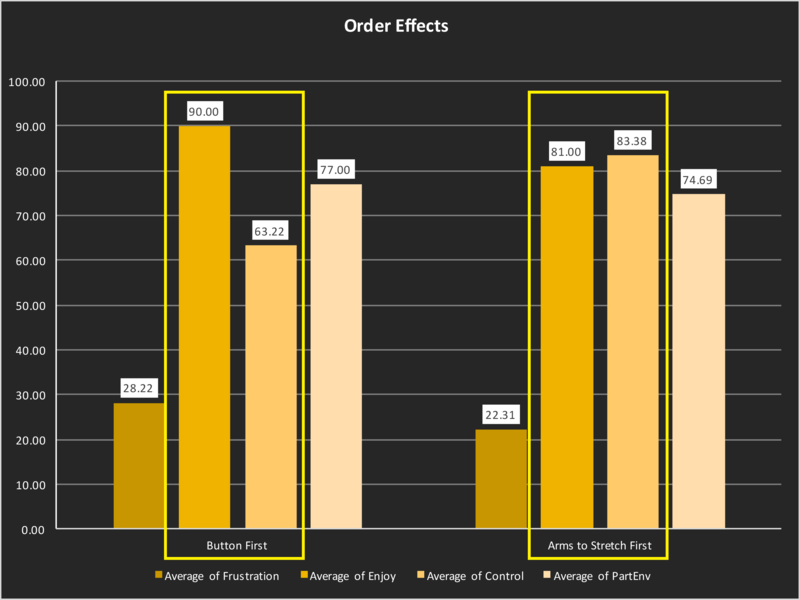 However, after accounting for order effects, we were able to identify noticeable differences in enjoyment and control levels. Overall, users felt higher levels of enjoyment and lower levels of control when the button press interaction was used first. Because the button press interaction is easier to use, and this led to higher levels of enjoyment. This which suggests the need for improved tutorials that will ease users into the environment. 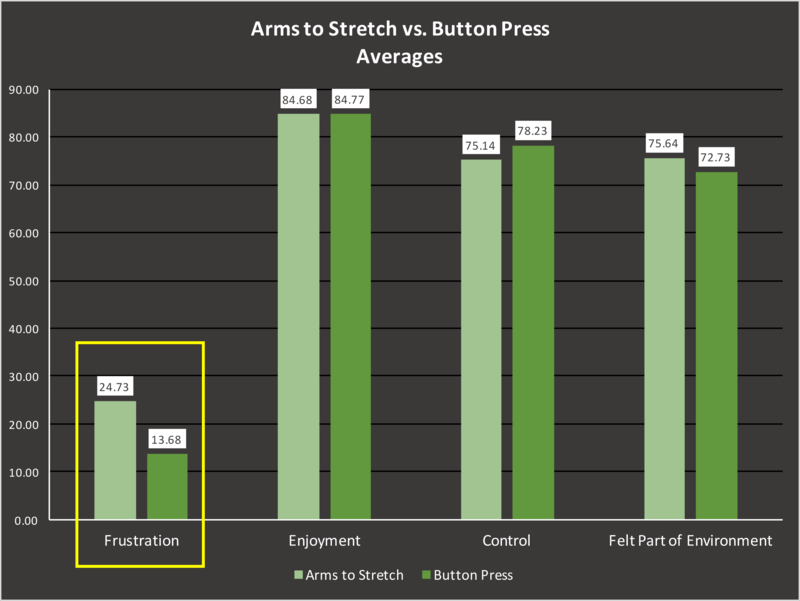 Using the button press interaction first also led to feeling less in control when transitioning to an arms to stretch interaction; this suggests that the arms to stretch interaction needs improvement. Our findings reveal four reoccurring types of users: curious, fixed, enthusiastic and experienced. 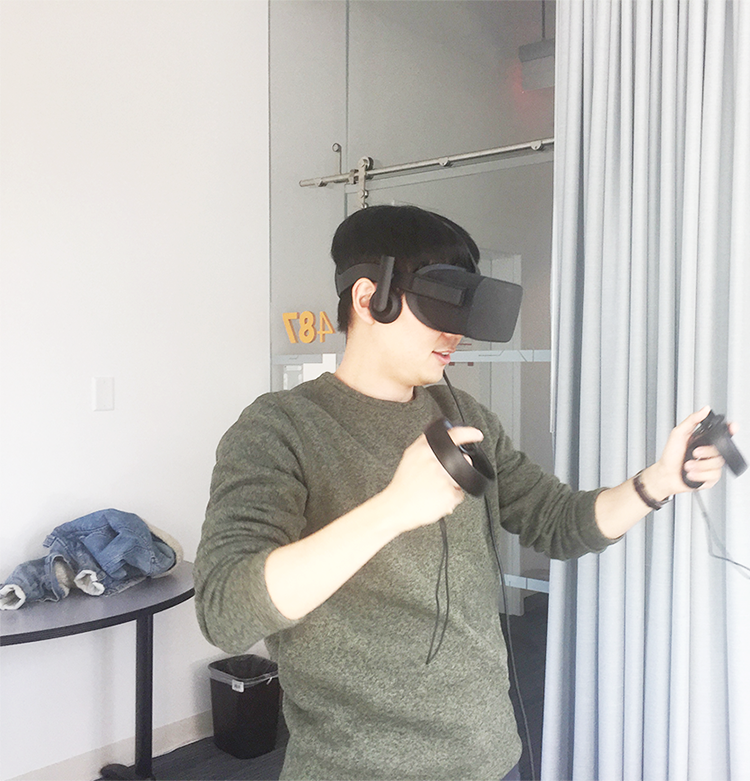 After conducting 30 VR lab sessions, we were able to identify 4 types of users. 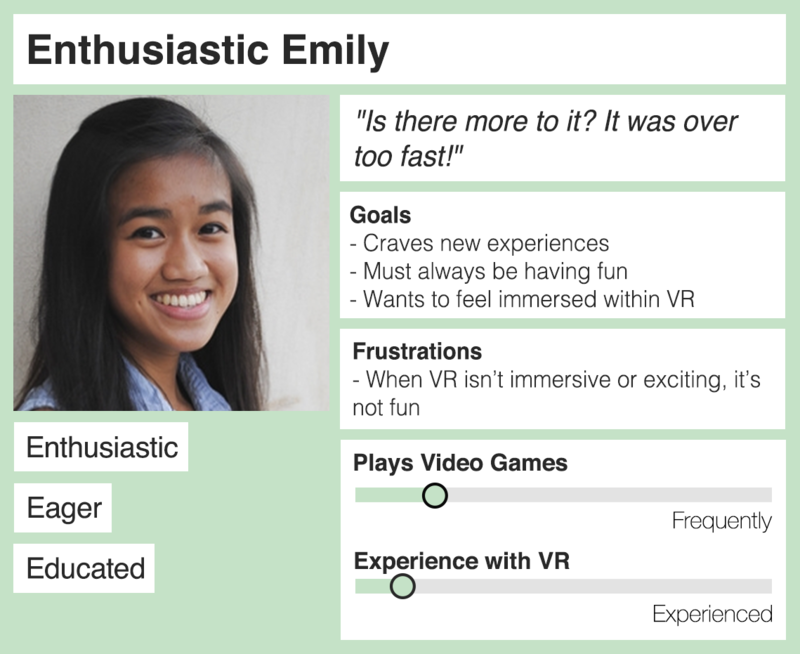 Each of these users have differing wants and needs due to varying degrees of familiarity with VR. 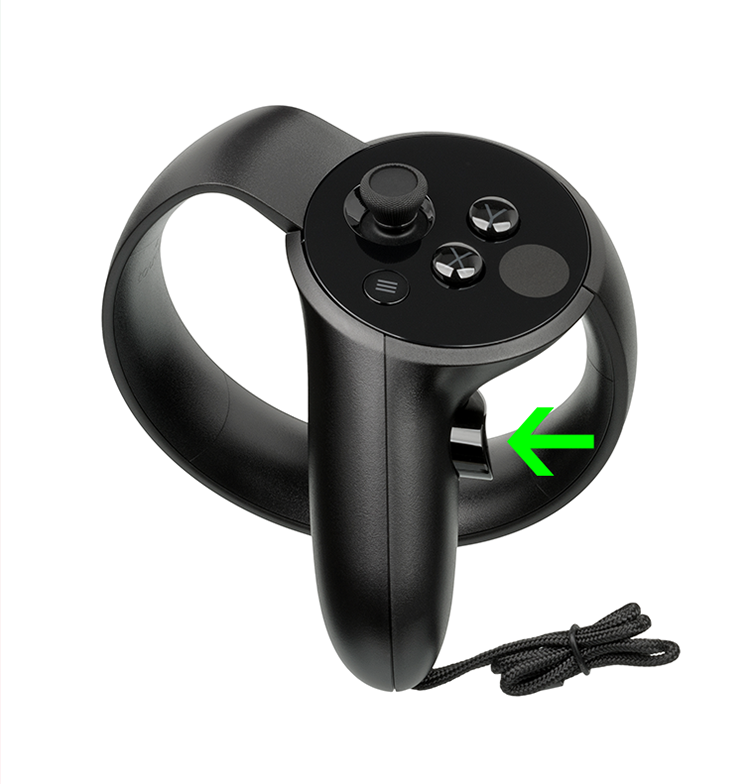 Based off of our findings, the arms stretching interaction is preferable to a specific type of user. Further research will be necessary to validate a widespread need for an arms stretching interaction. 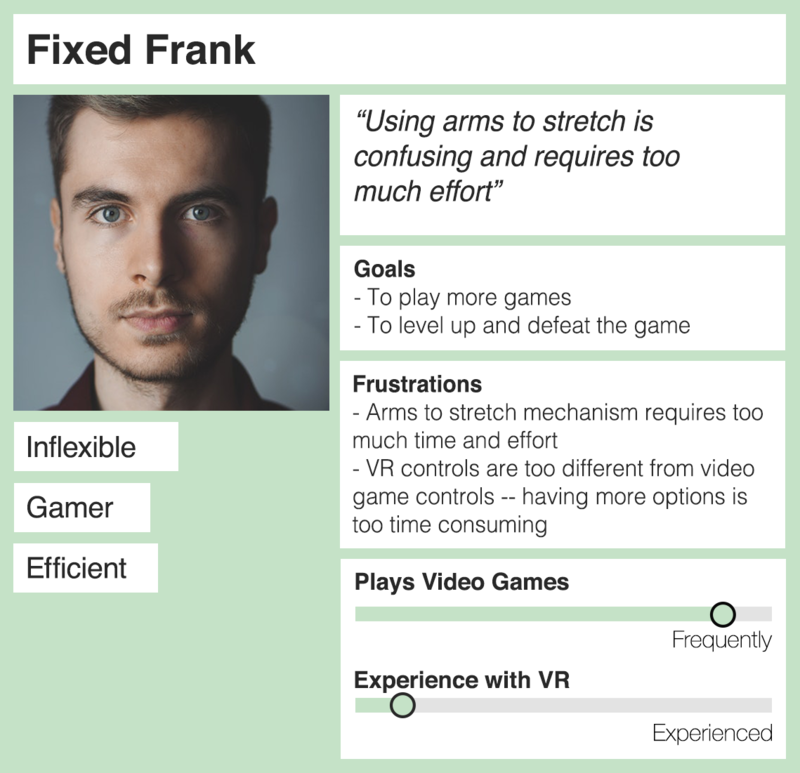 Next phases of research should include (1) an improved arms stretching prototype – the existing prototype was jumpy at times, which interfered with user enjoyment and frustration levels (2) More feedback integrated into the interface to display how arm movements translate into movement within the virtual space – this is useful for novice users.